Shared Office: Engineering 2 Building, Room 339B (Map) I'll be here only during office hours or by appointment. Each TA is willing to meet with you outside of section (within reason) by using email to arrange another time you can come in—either because you want some extra one-on-one help or because you just can't make the other times (so is the professor, although sometimes this means talking over the phone or skype). Sign up for time with our subject tutor at Learning Support Services. You can attend any section that you want. All course information can be found online. 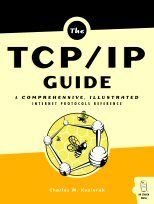 The TCP/IP Guide by Charles M. Kozierok, Fifth Edition. You can bring paper copies of labs/homeworks to class on Thursday, or you can email a PDF to the email address ce80nhomework@gmail.com . Lecture Slides: April 2, April 7. Lecture Slides: April 9, April 14. Lecture Slides: April 16, April 21, April 23. Lecture Slides: May 5, May 7, May 11. Lecture Slides: May 13, May 19. Lecture Slides: May 26, May 28. Internet of Things Study Guide, solution. There are nine homeworks. Some of these homeworks require visiting an ITS Computer Lab to run software. (These I call "labs".) See the Labs page. These will cover the material listed in the assignments section of this website. I use the best 7 scores (out of 10 quizzes). There will be no makeup quizzes. If this is a quarter in which you can't make it to class for at least 7 Thursdays, this is not a good class for you to take this time. Each of you must turn in your own assignment for grading. You will have assigned seats for the final exam. Evidence of class participation lets me bump somone's grade from C+ to B–, or from B+ to A–. Class participation includes section participation and helping others on the forum. You may collaborate on homeworks/labs, but you must turn in your own copy of the assignment. Realize that assignments prepare you for the corresponding quizzes, and so allowing time to work through the exercises on your own is better than copying someone else's results. You may not collaborate on quizzes or on the final exam. Quizzes and the final exam must represent your own work. Understand that there is more than one version of the quiz, so avoid the tempation to copy a familiar looking answer from your neighbor. It might be the correct answer to your neighbor's quiz, but the TAs will discover what you've done.